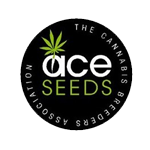 Ace Seeds - Violeta. Free US delivery. Violeta is a new sativa/indica hybrid that matures with intense purple and reddish colors. It's the result of crossing 2 purple strains: the mother is the Purple Malawi, a very special expression of purple african sativa, that was pollinated by the best and more colorful Pakistan Chitral Kush indica parental plants.